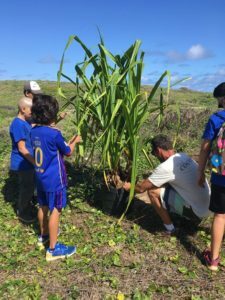 The Hawai‘i Community Foundation (HCF) has announced its 2019 recipients of the Community Restoration Partnership (CRP) grants, totaling more than $1.4 million to fund the protection and restoration of Hawai‘i’s coastal areas on five islands over three years. The CRP is a unique collaboration of national and international funders, foundations, and private donors, who provide resources for on-the-ground lower watershed and coastal restoration projects throughout Hawai‘i that involve community stewardship activities and focus on durable and sustainable positive impacts on coastal and near-shore marine areas. The CRP funded projects align with the state’s goal for 30% healthy functioning near-shore areas by 2030. Since its inception in 2009, CRP has provided more than $4.7 million in funding to 52 local community organizations statewide, helping to strengthen the ties between cultural and environmental stewardship efforts. When the CRP was started at the Hawai‘i Community Foundation, it was as an innovative public-private partnership with NOAA’s Restoration Center, supported by the late Senator Daniel K. Inouye. It has now evolved to include 8 local and mainland foundations, private donors, and other partners, and advanced from a one-year grant into a multi-year grant program that also provides capacity building, training, and networking opportunities to nonprofits. The CRP is a funding partnership including the Atherton Family Foundation, the Harold K.L. Castle Foundation, Jeanne Herbert Fund at HCF, Kamehameha Schools, the Marisla Foundation, Oak Foundation, Traut Carson Fund at HCF, and the Weissman Family Foundation at HCF. The Nature Conservancy of Hawai‘i, Hawai‘i Island. 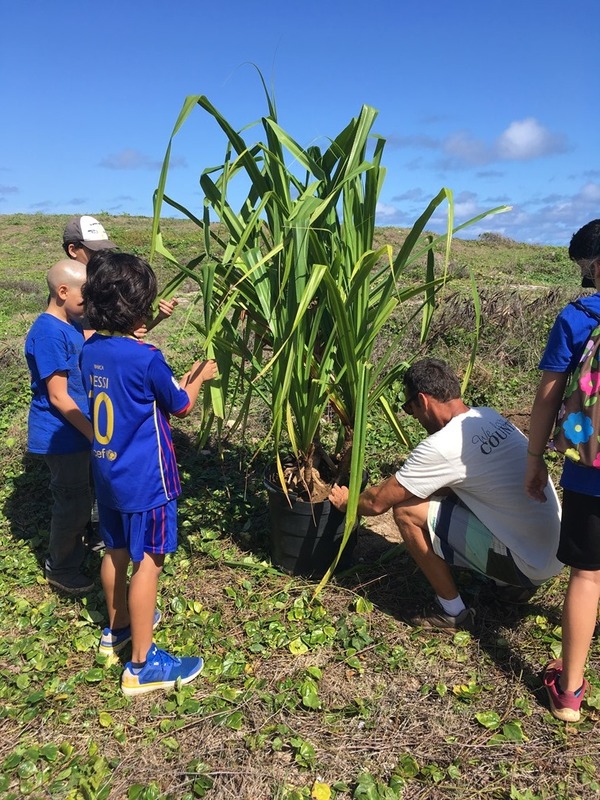 Improving coastal health in West Hawai’i by engaging community volunteers who perpetuate traditional practices. Organizations, partners or funders that are interested in joining the CRP may contact Larissa Kick at 808-566-5565 or lkick@hcf-hawaii.org. Photos are of the North Shore Community Land Trust, one of the CRP Grantees. 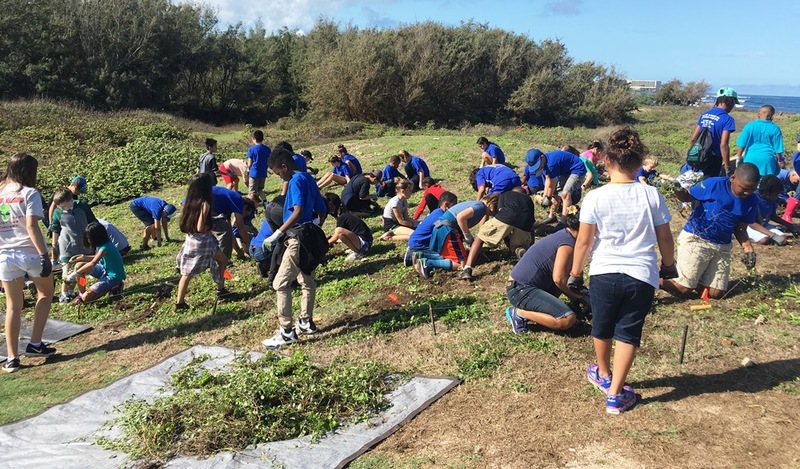 The North Shore Community Land Trust program offers an educational and interactive experience for local residents, school children, and visitors to connect with this rare coastal habitat through monthly volunteer workdays consisting of invasive species removal, native plant out-planting, marine debris cleanup, and light trail maintenance along the network of public trails.